We are so excited and thankful for you! 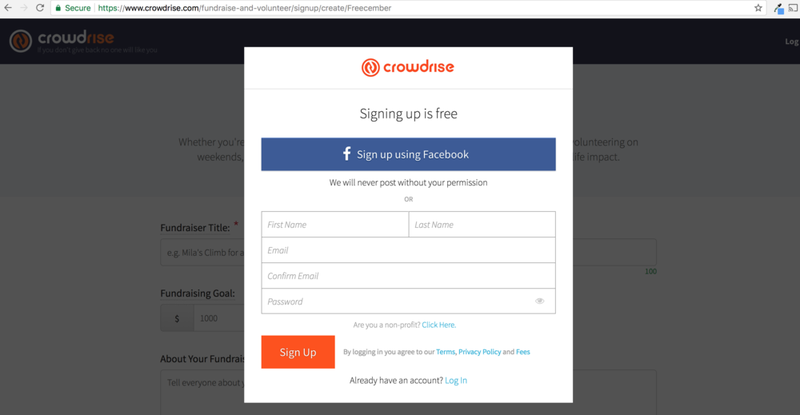 This is a QUICK STEP BY STEP GUIDE to setting up a Freecember Team on Crowdrise. Your team will combine with other teams to build toward your anti-trafficking charity's total 2017 goal. Step A) Write down 2 to 12 people you can personally invite to join your team in taking a Freecember Challenge to raise money for the anti-trafficking organization you believe in. Copy & Paste this and make it your own later if you want to. Feed a child. Starve slavery. This Freecember, my team and I are ______ (activity) to raise ______ (amount) for WMFBolivia. WMFBolivia empowers children and adolescents to break cycles of violence in their own lives. Practically, by providing a holistic program, three days a week, for children affected by prostitution, ages 2-15. WMFBolivia is fighting trafficking on the front-lines, directly targeting victims of sexual exploitation in the brothels of El Alto, Bolivia and offering opportunities for transformation in their lives and a different future for their children. By giving $120, $60, $40 or $12 now, you can help feed a child and provide a pathway to a freedom filled future! Example description for HUG Project. Fund two new Thai staff. Provide a year of specialized care for traumatized children. This Freecember, my team and I are _______ (activity) to raise ______ (amount) for HUG Project. HUG works to prevent, protect, and restore child victims of sexual abuse and human trafficking. Right now, their greatest need is funding for Thai staff to work directly with these children as social workers, case managers, and counselors. This funding is key to providing sustainable care for these traumatized children - to help them move toward healing and hope for the future. Give to HUG. Give healing and hope to a child. Enter & Select the name or number of the charity you're raising for. TeamHUG teams search “Cord Ministries International” OR 45-3813499 (this the overarching charity name and number for HUG Project.) It’s the one with an AZ address. WMFBolivia teams search 58-1967768. It will come up with a Portland, OR address. Like why you’re doing the challenge, what challenge(s) you (and others on your team) are doing, etc. a) Click “Team” on the left hand list. b) Then click “Invite." It will give you a unique link to copy and paste & send to people to join your team. c) Copy and paste the link & send to people to join your team. 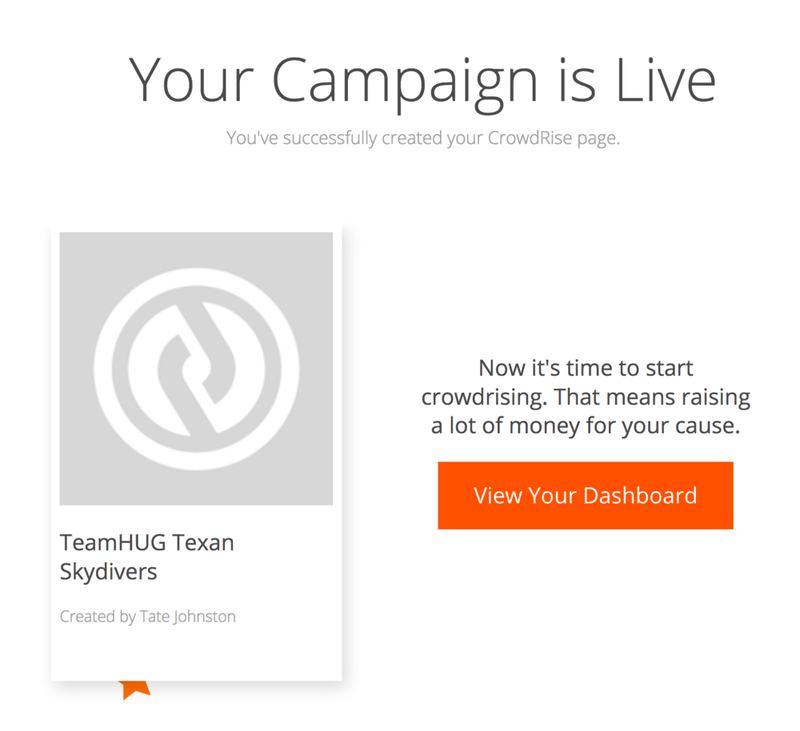 Your team is set up on Crowdrise and soon people will be joining your team, which is joining other teams, and other teams of teams to raise tens of thousands of dollars to make a HUGE difference in women and children’s lives who are at risk of/affected by human trafficking. Prepare for your Freecember Challenge. Start sharing what your planning. Start inviting people to join with you. Get ready to make a BIG Difference, together! We're so thankful for you and what you're doing to make a difference in people's lives and to invite and empower other people to join you!